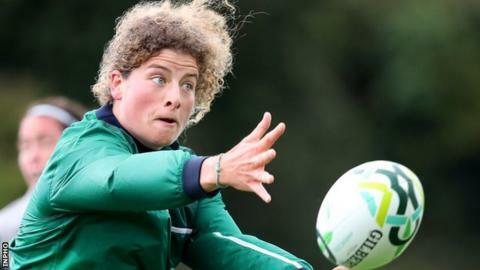 The Irish Rugby Football Union (IRFU) has said it "regrets any upset it has caused" over the decision to advertise for a part-time women's XVs coach. The IRFU has attracted criticism for deciding to appoint a six-month part-time successor to Tom Tierney, who left after a disappointing World Cup. A statement indicated it may become full-time position following a review. The IRFU said Tierney was employed as a full-time coach between the Sevens and XVs, not exclusively with the XVs. The decision to appoint a new coach in a temporary part-time role had been criticised by the likes of current player Jenny Murphy and former international Ruth O'Reilly. Tierney concluded a full-time three-year contract at the end of this year's underwhelming World Cup campaign but the IRFU say the new coach will be exclusively involved with the XVs. They also said that the part-time status of the new coaching position could change after the 2018 Six Nations, following a full-scale review of women's rugby structures. "The IRFU wishes to address the confusion that has arisen in recent days regarding the coaching position for the Ireland Women's team. The IRFU regrets any upset that it has caused," read Friday's statement from the organisation. "The IRFU confirms that it is in the process of reviewing the entire structure of the women's game in order to develop the next long-term strategy as we build to the 2021 Women's Rugby World Cup, and beyond."